caption Clone culture of Thalassiosira, possibly leptopus. Isolated at List on the 22nd of February 1989. 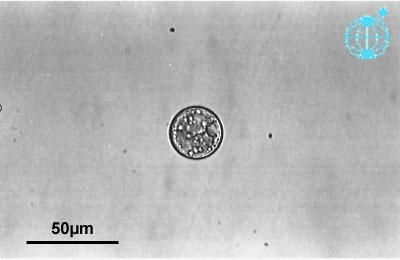 Diameter: 29 Âµm. This image is part of the collection of Dr. Gerhard Drebes. image notes Originally recorded as Coscinodiscus cf. lineatus.